Following the unprecedented loss of an estimated 1,600 migrant lives in the Mediterranean in the first months of this year, heads of EU governments adopted a statement in a Special European Council meeting on 23 April 2015. The statement outlines the Council’s priorities aimed at “preventing further loss of life at sea and to tackle the root causes of the human emergency that we face”. However, it highlights commitments towards increased securitisation of the external borders of the European Union and, among other priorities, commits to reinforcing Frontex-led operations in the Mediterranean and to the establishment of a “new return programme” for rapid return of irregular migrants to be coordinated by Frontex. 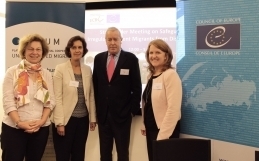 Processes of returning undocumented migrants to their countries of origin have been of great concern to PICUM and many of its members in recent years. Conditions of migrants in detention, including the detention of children in some countries, a lack of legal aid and violence during forced removals are examples where migrants face human rights violations in the process of return. Standards and procedures applicable to persons subject to a return decision are currently regulated by Directive 2008/115/EC on “common standards and procedures in Member States for returning illegally staying third-country nationals”, also reffered to a EU Return Directive. PICUM’s new Position Paper on the EU Return Directive(Directive 2008/115/EC on “common standards and procedures in Member States for returning illegally staying third-country nationals”) published on 28 April 2015 highlights these concerns (the paper is also available in Spanish). 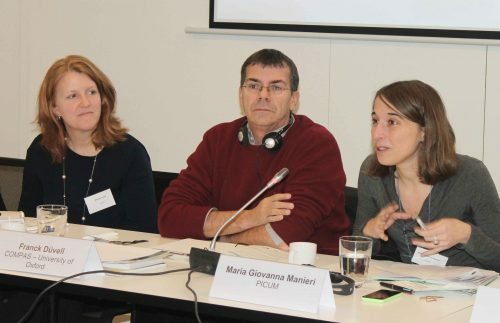 The position paper was developed with input from PICUM members who gathered for PICUM’s first meeting of the new working group on migration policies in Brussels on 5 December 2014. The EU Return Directive was adopted by the European Union in December 2008 and sets out common standards and procedures for returning migrants residing irregularly on the territory of the European Union. In Article 1, the Directive refers to the need of upholding fundamental rights in the process of returning migrants. Nonetheless, it fails to establish a principled policy on return which fully respects migrants’ dignity and human rights. 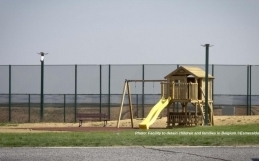 The directive establishes that detention should only be used as a measure of last resort. It establishes that the maximum limit of detention shall be of 6 months, which may be extended exceptionally to maximum 18 months. The European Commission argues in its Communication on the EU Return Policy that the Return Directive has positively influenced national law and practice regarding the primacy of voluntary departure, monitoring of forced return, and reduction of maximum detention periods across the EU. In its Communication of the EU Return Policy, the Commission, however, also recognises a number of shortcomings in several member states’ practices in particular in relation to the systematic use of alternatives to detention, the lack of independent forced return monitoring systems, detention conditions, the effectiveness of the return policy and the need to ensure protection of children and other vulnerable persons in return procedures. “By their very nature, forced return operations have the potential to involve serious violations of fundamental rights. Through this investigation, I want to find out how Frontex is equipped to deal with potential violations and how it minimises the risk of such violations”. – European Ombudsman, Emily O’Reilly who announced on 22 October 2014 to open an investigation into how Frontex ensures respect of fundamental rights in the context of forced returns under the agency’s joint return operations (JROs). There is indeed a clear need to ensure compliance with fundamental rights in migration control mechanisms. Based on experience in various member states, participants of PICUM’s working group stated that the use of systematic and prolonged detention, the detention of children and their families and human rights violations in the context of removal procedures are major issues of concern in relation with the implementation of the EU Return Directive. The experience of PICUM members of the implementation of the Returns Directive in their countries is crucial to identify and address main challenges and shortcomings of the EU legislation. Moreover, these experiences from the ground illustrate the different approaches adopted by national legislators when implementing the Directive, for instance, the detention as a tool for migration management. Recent legal developments in Greece and in Italy are good examples to illustrate the sometimes opposing approaches adopted by national legislators when considering the use of detention as a tool for migration management. A major concern for PICUM and many of its members has been the practice of detaining children and their families in some member states. Detention of children can never be justified as in a child’s best interests, in line with the United Nations Convention on the Rights of the Child and further guidance provided by the Committee on the Rights of the Child through its General Comment n. 6 adopted in 2005.6 There are alternatives to detention which, however, are frequently not considered. Katja Fournier of the Belgian organisation Platform Kinderen op de vlucht – Plate-forme Mineurs en exil, gave the example of “open return houses” for families awaiting removal as an alternative to detention of children and their families adopted in Belgium in October 2008. How can these shortcomings be addressed? PICUM’s member organisations working on the issue agree that more evidence on the impacts of the EU Return Directive on migrants’ fundamental rights needs to be gathered. It is crucial to advocate for law reform and access to justice, including for the use of national and international complaints mechanisms. Strategic litigation could be a useful tool to address non-compliance with migrants’ fundamental rights during return processes and UN human rights treaty monitoring bodies should be targeted as a way to promote the rights of undocumented migrants at global level. Key events at global level can also be an opportunity for civil society to address their concerns around the protection of migrants’ fundamental right. For instance, PICUM and several of its partners have delivered their messages at the Civil Society Days at the Global Forum on Migration and Development (GFMD). Civil society organisations have developed key documents such as the five-year eight-point Action Plan proposed at the UN High Level Dialogue on International Migration and Development held in October 2013 to be used as part of advocacy activities and dialogues with policy-makers and national governments. Practices of criminalising undocumented migrants as well as their supporters remain a cross-cutting issue which has to be challenged by policymakers and civil society alike to prevent further violations of migrants’ fundamental rights. To strengthen networking among its members, facilitate more strategic cooperation on key policy issues, and ensure its network remains informed about developments at both national and European level, PICUM hosts the following thematic working groups: access to healthcare; fair working conditions; the situation of undocumented families and children; undocumented migrant women’s access to justice, legal strategies in advocating for undocumented migrants and since 2014 a new working group on migration policies. In 2014, PICUM also launched a new task force on housing and access to shelter which is jointly organised with the European Federation of National Organisations Working with the Homeless (FEANTSA) and members of both organisations. 1 See for example: Midas Report, “Assessing the Cost-effectiveness of Irregular Migration Control Policies in Greece”, October 2014. 2 See: Amnesty International and Greek Council for Refugees, Joint Public Statement, 11 February 2015. 3 Law 30 ottobre 2014, n. 161, “Disposizioni per l’adempimento degli obblighi derivanti dall’appartenenza dell’Italia all’Unione europea – Legge europea 2013-bis”, (14G00174) (GU Serie Generale n.261 del 10-11-2014 – Suppl. Ordinario n. 83). 4 According to the new legislation, detention can be ordered for an initial maximum period of 60 days, which can be further prolonged by a judge for 30 additional days, for a total of 90 days. 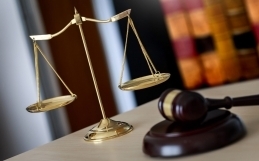 For a more detailed analysis of the new legislation see: ASGI, “Le modifiche al D.Lgs 286/98 in materia di espulsioni e trattenimenti degli stranieri apportate dalla legge 30.10.2014, n. 161 (Legge Europea 2013 bis)”. 5 See for example: Lunaria, “Costi disumani. La spesa pubblica per il ‘contrasto dell’immigrazione irregolare’”, 30 May 2013. See also: A. Di Martino, F. Biondi Dal Monte, I. Boiano, R. Raffaelli, “The Criminalization of irregular immigration: law and practice in Italy”, Pisa University Press, May 2013. 6 UN Committee on the Rights of the Child (UN CRC), General Comment No. 6 (2005), on the treatment of unaccompanied or separated children outside their country of origin, paragraph 61.